When an extra special package arrived through my door from Clinique, I knew that it gave me the perfect excuse to write a January detox post. If you're anything like me, I'm sure you'll have binged out over Christmas, we're talking mince pies, a glass of wine or 5 and far too much chocolate. Do not fear though, everyone's allowed a break and December was yours, it's January now, the start of a new year so there's no better time to get fit and healthy. People often ask me what I do at the gym or how I stay toned (not that I think at all that I am perfect - I've got a long way to go), but here's a little post with what I've been doing in order to stay toned and what I will be doing throughout January in order to get my summer body back in shape. I've seen so many people saying that they're detoxing already this month, so now it's my turn... (and yours if you'd like to join me) Let's do this together! 1 - Cut out the white things - I used to always laugh at people when they said this, I was like oh I eat so much white bread and I'm not over weight yet - but when I read up about just how bad it is for you, it actually scared me. 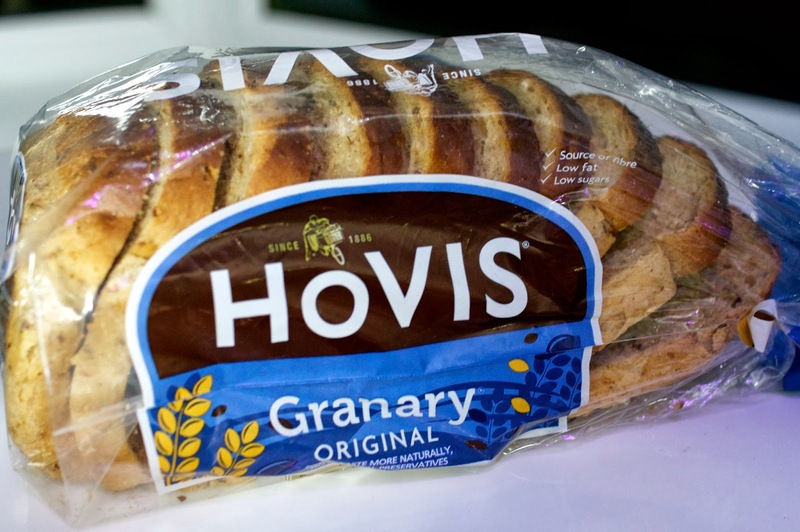 White bread basically stores in your body and most likely, will convert to fat, it's very fake and you'll notice that because you're highly likely to feel really bloated after eating it. In September, I vowed to cut out all white bread and even white pasta and I have honestly seen the biggest change in my body. I am the biggest carb lover so cutting carbs out completely was never going to happen for me, but a small change like moving to wholemeal items rather than pure white, really has made a difference. For me, this was a huge lifestyle change as when I say I literally lived on white bread, it's embarrassing how much I used to eat. Pasta was the hardest one for me though as I love it so much, I really didn't realise how bad white pasta can be for you but a quick google search will tell you. 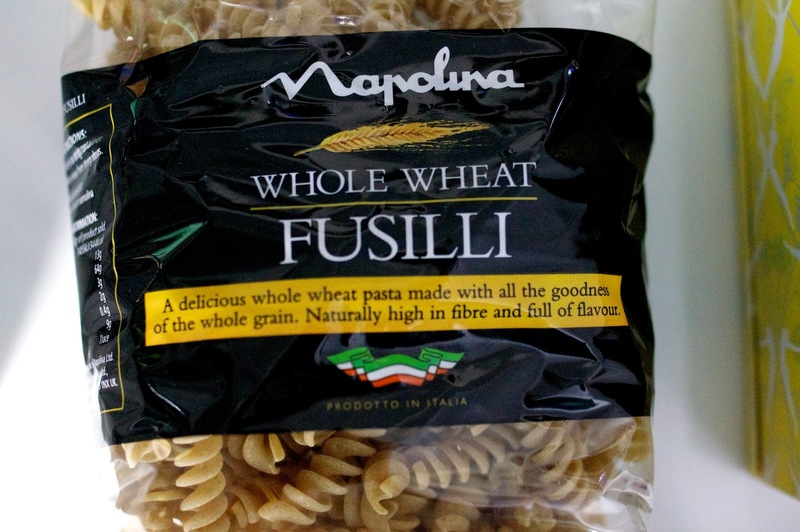 Since eating wholemeal bread and pasta, I don't even like the taste of normal pasta or bread anymore, it tastes really stodgy. Obviously you don't have to do this, but I've found that it really has changed my body. 2 - Drink lots of water! I find this one very difficult but everyone knows the benefits of water, it keeps you hydrated, it makes your skin look nicer, you generally feel more alert and it flushes out any nasty toxins. I am guilty of never drinking enough, so to help, I buy a two litre water bottle from the supermarket and carry it everywhere with me (it's heavy so see it as working your arms out every time you carry your bag around too) it just kind of forces you to drink it because the drink is always right in front of you. I'm terrible at saying: 'I'm really thirsty' and then not actually going and hydrating my body. I read somewhere once that you should never actually let your body get to the stage where you're thirsty, don't make your body beg for a drink, keep it hydrated - it'll thank you for it later. 3 - Green tea is your best friend - I know you don't want to hear this, because well, let's face it, it just tastes like plain hot water and it's probably the most boring drink ever, but again, I have noticed a huge change in my body since forcing myself to have at least a cup of green tea every day. There must be a reason that people swear by green tea and I do feel like it's really worked for me. If you google the benefits of green tea, you'll see that there are hundreds. The best thing for me about green tea is that it speeds up your metabolism, this means that you'll lose weight quicker, yay. 5 - Never skip breakfast - so many people do this but it's scientifically proven that you are more likely to lose weight if you fill up on a big breakfast. 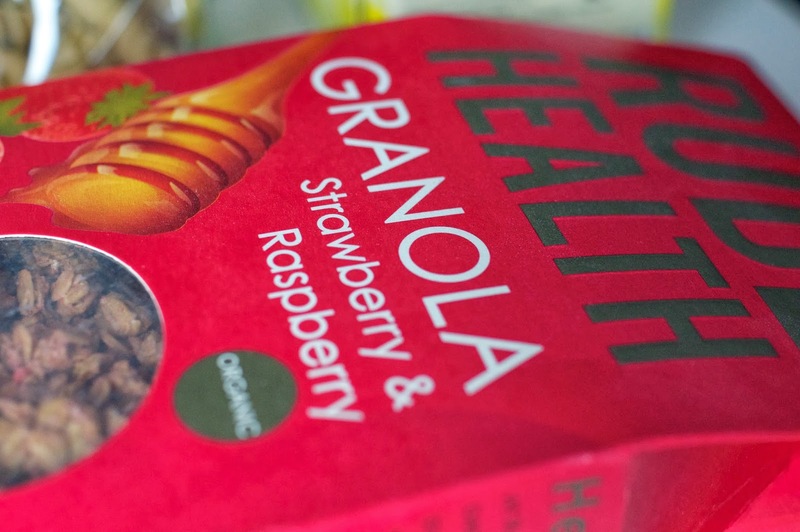 With granola/museli, do check how much sugar is in it - this one is pretty bad for sugar levels - I stick to weetabix with yoghurt. 6 - Add seeds - I have been adding seeds and flaxseed into everything I cook, particularly if it's a pasta dish - it's really good for you and you don't even realise you're eating it! 7 - Squat it out - there's a reason it hurts and that's because it's working! I can't explain the difference I've seen in my body since I started squatting. If you hate the gym, you can do this in your living room whilst watching your favourite TV show. I've recently starting squatting with weights and that's when I've really seen the difference. 8 - A tapas way of living is good - Everyone says that 3 large meals a day is the wrong way to lose weight, instead, try eating 6-8 smaller portions, it will stop snacking. Left hand side in the pink bikini is before any proper weights, just cardio, left handside in the black sports bra is after a few weights, after a few more weeks of weight the results are me in the pink sports bra. 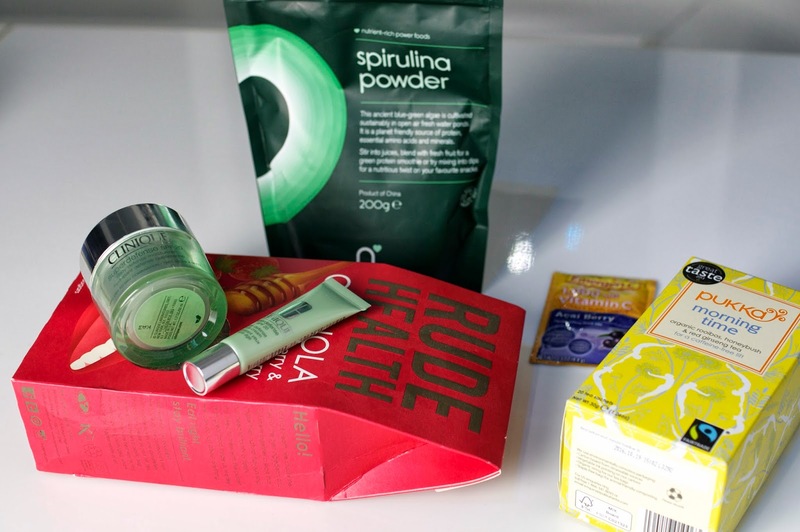 Obviously, eating the right things kind of gives you 'inner beauty' and can fight blemishes etc, but, if you prefer to actually apply things and pamper yourself (who doesn't) here's what I'd recommend. You're bound to feel better after a candle lit bath, right? 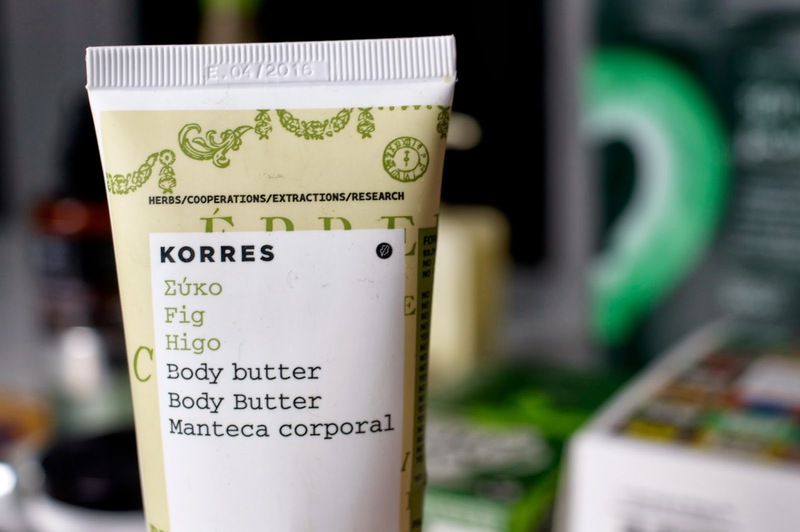 - Exfoliate - Get rid of all that dead skin and leave your body smooth and fresh. 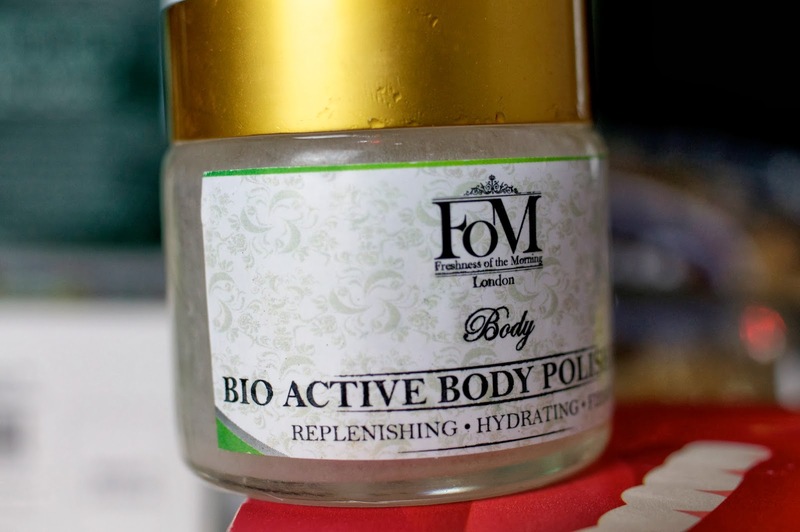 I love Fom bioactive body polish balm which was kindly sent to me to try months before Christmas, I feel bad that I've kept this beauty all to myself for this long. Burts Bees also do some great exfoliators (plus they smell incredible). MYA do skin peels and I have literally wanted one for so long, I feel like this would be the ultimate skin detox. I'd love to hear from anyone who's had one and see how you got on! 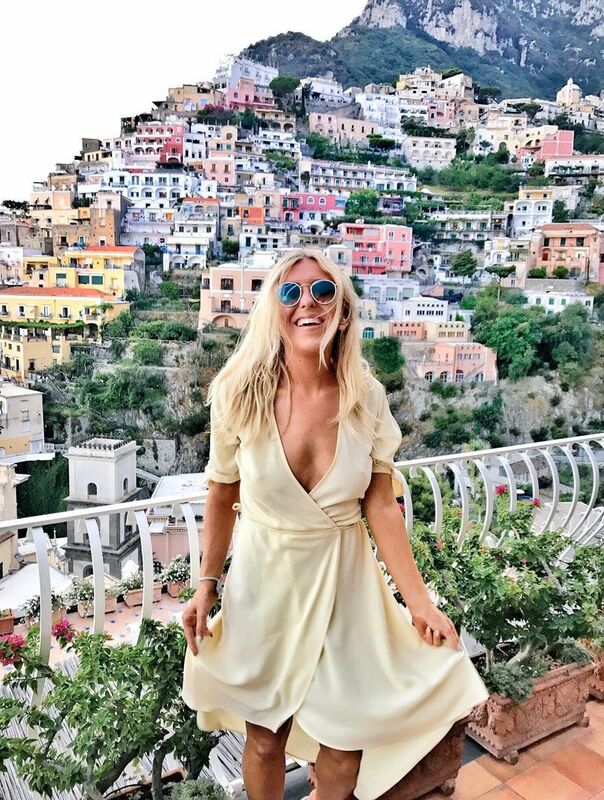 - Tan - I always feel 100% better when I'm tanned, now obviously we can't always jet away on a plane to get a natural tan and I don't agree with sun beds, I've never used one in my life and I don't plan on ever using one. Instead, I stick to Palmers Cocoa Butter for a natural tan, it gives the best colour. You can read a more indepth review of it here. - Moisturise - The same goes for moisturising, I always feel really pampered after a steamy bath and then a 10 minute moisturising session, it's harder in Winter when it's cold but you can't beat feeling silky smooth. - Get your hair done - I find that it makes me feel like a new person when I get my hair done, but if you can't afford a new hair-do, try some new products and pamper yourself with them. 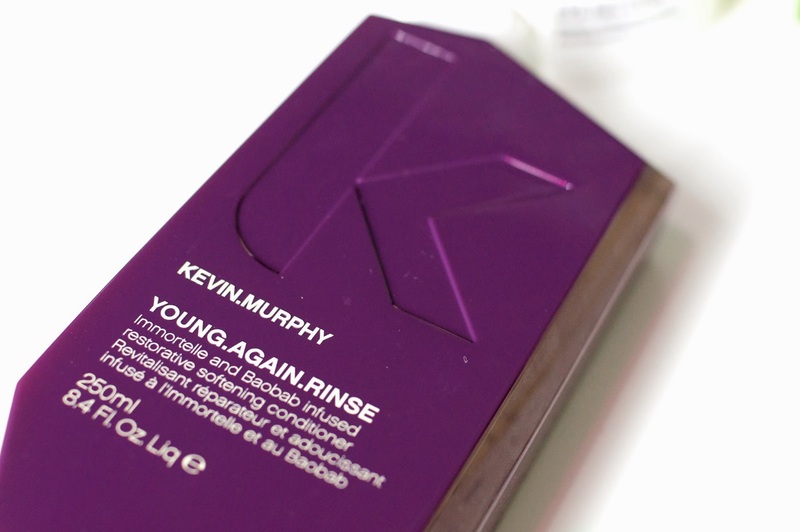 I adore the Kevin.Murphy range. - Have a long bath - If all else fails, have a long bath. Baths are like therapy to me, candles on, say goodbye to social networking and just relax alone for an hour or so. You'll feel amazing (especially if you throw in some Lush bath bombs - nothing beats a pink bath!). 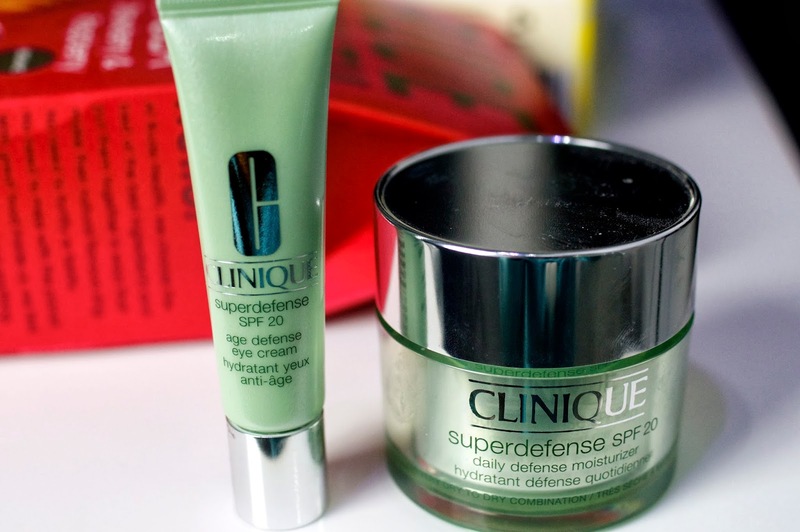 A massive thanks to Clinique for sending me this little healthy bundle below for their Super Defense campaign, to get me kick started (there was also coconut water but erm, I drank it oops). I will be reviewing their products very shortly. And there we have it, a few quick and easy things to do which have worked wonders for me and hopefully they will for you too. I wrote a simple guide to help you get fit and healthy a while ago which goes into a lot more detail, you can read that by clicking here if you missed it! Did you eat a lot over Christmas? Do you do any of the above? What are your top detox tips? I used to hate green tea, but after forcing myself to drink it (I barely dipped the teabag in at first) I absolutely love it, especially with a slice of lemon! Ah what thats incredible - would love to see how that goes as I'd love to do it! great post and amazing tips em! This is a really good post! I am trying to be so good after my Christmas binge! I love reading about what others do because it keeps me motivated! Love this post and great pics! Yay thank you x glad you like it! wow, such amazing tips! i also loved that you included pictures of your own progress! great blog, just found you and now following! 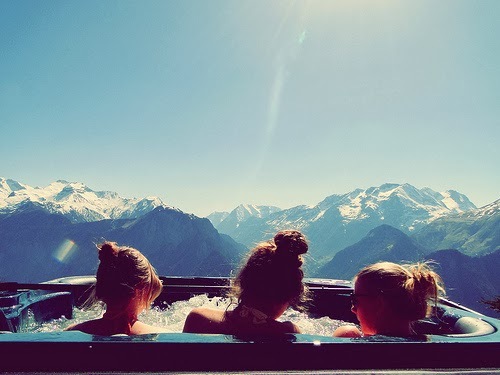 My top detox tip is dont do it, our bodies are actually really good at detoxifying themselves! However I cant reccomend enough adding in smoothies and teas filled with goodies to give it a helping hand all year round! Green tea, spiruline and wheatgrass are all amazing. Also totally agree on cutting out white carbs (yucky!) but also sugar, I tend to have agave nectar or stevia instead (sometimes 100% maple syrup if im feeling gluttonous!) and really notice the difference...plus the manufacture of sugar is just grosss. Aw yay thats such good news that you found it interesting! thanks! I think it's great that you highlighted white bread and pasta, so many people are unaware about it. 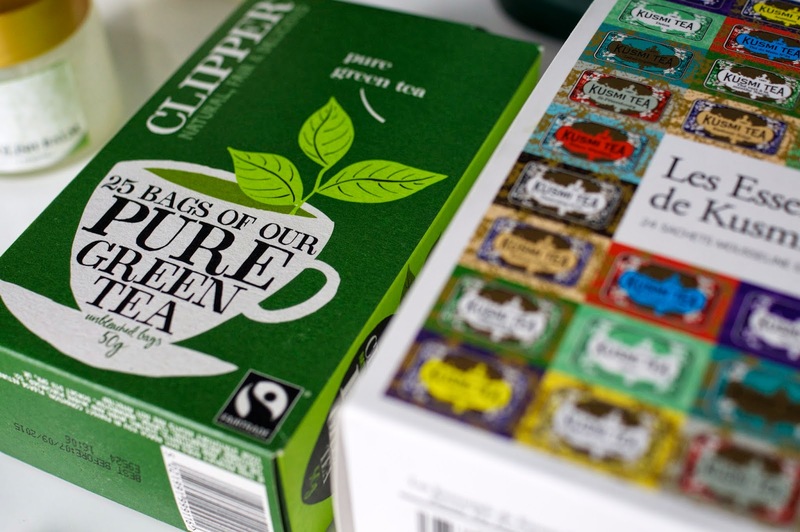 Also, with the green tea I think it's just about finding the one that's right for you! There's so many different flavours there must be one for everyone. Great post lovely! wow you look amazing! thanks for sharing your tips beauty! Aw thank you :) x anytime! All these goals are fantastic!! I seriously need to start getting back on track I did so good last year and as soon as I hit my last few months of pregnancy I completely fell off the wagon lol!! I'm so copying every single tip, you look freakin awesome! !